I can't help with box knowledge but I am sure someone else can. 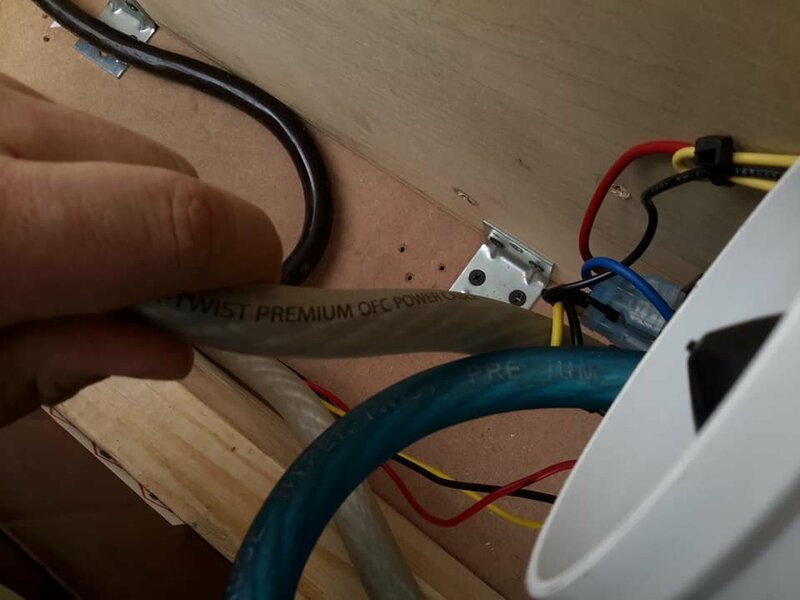 However, when it comes to your question about fusing; you should always fuse for the wire size and length to prevent excess current heating up the wire and fire. In saying that, you should fuse before and after you enter a battery and before you enter your amp. 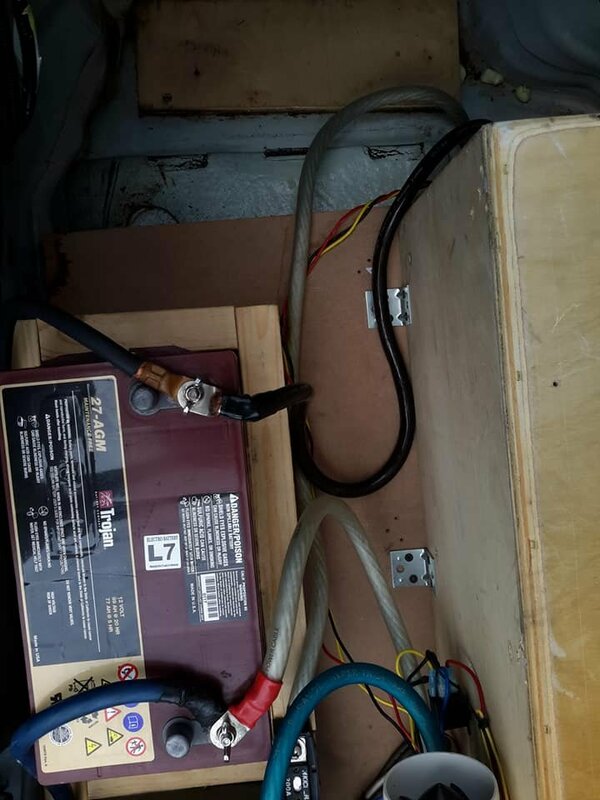 Now when you say you have two 200 amp fuses does that mean you have them hooked up one after the hood battery and one before the trunk batteries? or you have two runs of 1/0 each fused after the first battery with 200 amp fuses? Which in case I suggest adding another fuse before you enter your rear batteries. 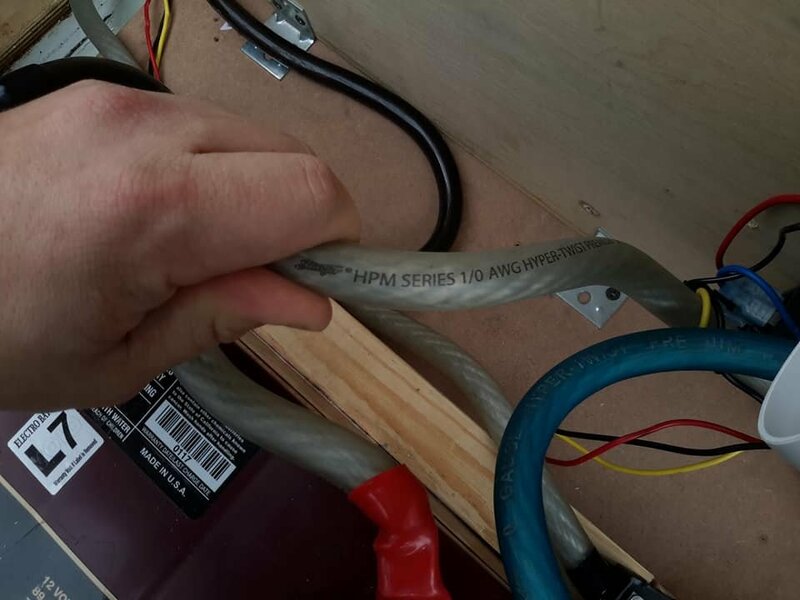 If you have it in the first mentioned format then your wire will be protected for up to 200 amps not 400, but it only matters what your wire can take. Since you have 1/0 I take it your running CCA 1/0 since your only using 200 amp fuses? If your using OFC or copper you should be able to step that up some but you should research your brands wire to be safe. Also if your wondering what size fuse to use to go into your amp you should look at the manufacturers recommendations. https://www.bandaaudiopartsusa.com/online-store/ICE-X-3002-p89213005 seems to show an average musical current draw of 155 A.
I use this post for my planning. Might help you out but bare in mind the type of wire you use changes these numbers so always double check otherwise your fuses are useless. A fuse acts as a weakest link in the chain...even though you have 2x 200amp fuses, that will still only allow 200 amps to flow through the cable. 200 amps is not enough to supply power to that Banda amp to deliver it's (supposedly) rated power of 3000w at 2ohms. The amplifier's 4ga (+) and (-) inputs are not sufficient to handle that kind of wattage at the amp's efficiency either. Basically, the Banda amplifier is not suitable for a typical car environment and probably won't deliver what you are expecting from it. ...but it does not state to be rated at the 1/2 ohm load you may have those subs wired to. I have seen some folks state that their Skar amps handle 0.5 ohm loads fine but Skar doesn't seem to back that up. It most likely won't handle that with your restricted power either. This puts you in a difficult position to be in...you don't have the proper amplifier or the proper subwoofers to achieve either's ideal scenario. You'll probably want to put in some diligent research into this so that you can make better choices in the future. If your Skar rp 2000.1 will tolerate running a 0.5 load it would be a much better choice than that Banda amplifier. Wire your 2 subs in parallel and try the Skar amp and see what happens. You had better get your fusing straightened out though. The rule of thumb for fusing is 10 amp worth of fuse for every 100 watts of RMS amplifier power. 1/0 CCA cable at a length of 17ish feet may not be enough to handle 3000+ watts. Fusing does not reduce current flow, it just stops the flow altogether when the current exceeds the fuses rating...and prevents your car from burning the ground. Joshdashef linked to a chart on this site that will help you know what cable and fusing to use for your gear.